Important: You should already have an active domain with WordPress. 1. Go to Stats > Domains. 2. Click the domain you wish to connect to Joomag. 3. 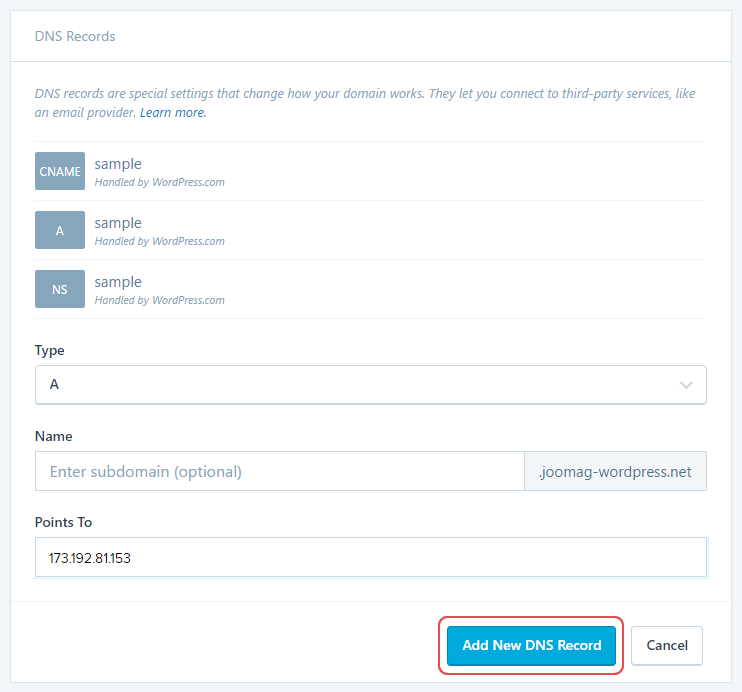 Click Name Servers and DNS. 5. Click the Add New DNS Record button and enter the Joomag's IP address. After finishing click the Add New DNS Record button.